WILLEMSTAD - The health, the lifestyle and the use of the healthcare facilities of the residents of the poor neighborhoods, areas where relatively many people live in poverty, is slightly less favorable than for the residents of all of Curaçao together. This is apparent from the health survey Curacao 2017, theme health, lifestyle and care use in poorer neighborhoods. However, four geographical clusters of poorer neighborhoods show big differences and each has their own specific points of attention. For example, residents of the poorer 'outlying areas of the city' are more likely to have problems with mosquitoes and rodents in the living environment. Residents of the poorer neighborhoods in the areas east of the Juliana bridge smoke more often, use soft drugs more often, report more often (symptoms of) mosquito diseases and experience less social support. 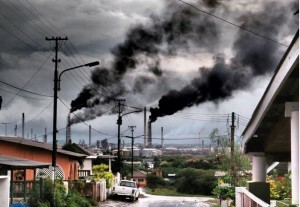 Residents of the poorer neighborhoods in the areas west of the Juliana bridge are more likely to have problems with the stench and air pollution from the Schottegat industrial area and also report asthma and allergy more often during the 12 months before this research.